I was shocked when I heard the tragic news about Rick Warren’s son. If you don’t know who Rick Warren is, he is the founder and senior pastor of Saddleback Church, a very influential and well respected Christian leader. If you’re unaware of what happened, here’s Pastor Rick’s letter. We would like to offer our heartfelt condolences to Pastor Rick, his family and his church. There are no words to express just how sad we are with and for you. 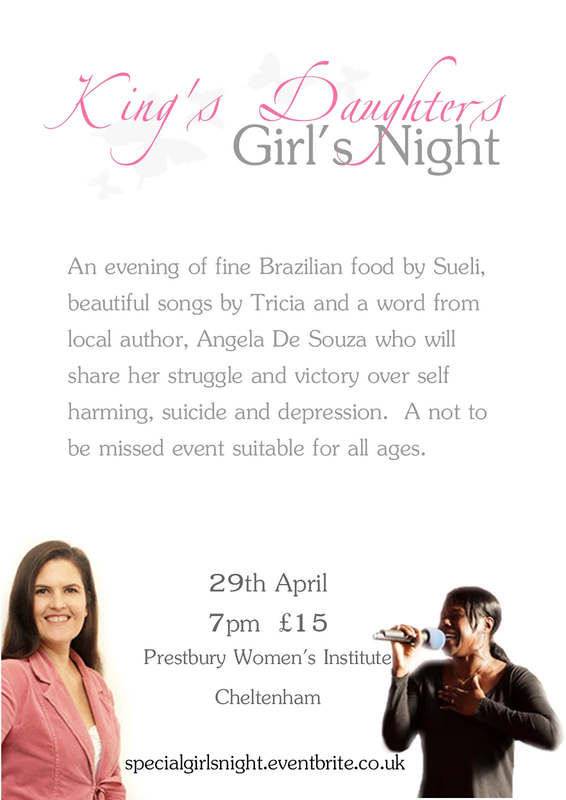 I have decided to take this opportunity to share my story, which I have recorded in detail in my book, Hope’s Journey, with you at a very special Girl’s Night which will be hosted here in Cheltenham, UK and once recorded will be available on our YouTube channel. If you can’t make the Girl’s Night and need support please feel free to contact me or get in touch with your local church or with the Samaritans. 1 million people across the globe die by suicide each year. That’s one suicide every 40 seconds. More people die by suicide each year than by murder and war combined. It’s estimated that approximately 5% of people attempt suicide at least once in their life. Between 10% and 14% of the general population have suicidal thinking throughout their lifetime. Suicide is the second biggest cause of death worldwide among 15-19 year olds. 100,000 adolescents die by suicide every year. Suicide is estimated to be under-reported for reasons of stigma, religion and social attitudes. Many suicides are hidden among other causes of death, such as road traffic accidents and drowning. Don’t wait for disaster to strike before you realise how real this problem is.